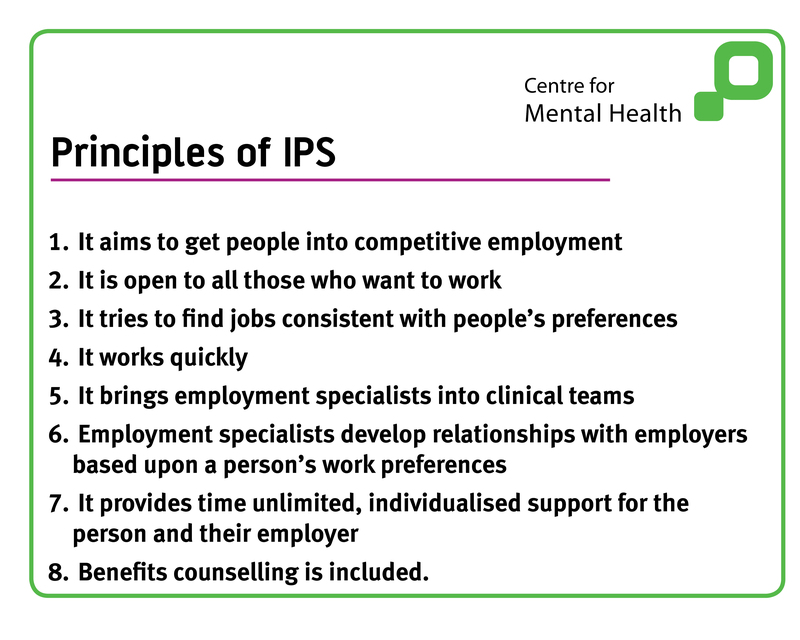 IPS supports people with severe mental health difficulties into employment. It involves intensive, individual support, a rapid job search followed by placement in paid employment, and time-unlimited in-work support for both the employee and the employer. There is now overwhelming international evidence that 'place then train' models – and IPS in particular – are much more effective than traditional approaches (such as vocational training and sheltered work) in successfully getting people into work. See how the IPS model is supporting people into work and improving lives, through this clip from CNWL, one of our IPS Centres of Excellence. The source of these principles is the Dartmouth IPS Supported Employment Center website. We have extensive experience of carrying out Fidelity Reviews which assess the extent to which a service is following these principles. We also offer IPS training to help you better deliver your supported employment services and fidelity reviews to help you find out how closely your service is applying the IPS principles.